TRAPPIST-1 discussion and addon for 0.98 is here. An eighth planet has been discovered at the star Kepler-90. This makes the Kepler-90 star similar to our sun with the number of planets in the Kepler-90 system equal to the number of planets in our solar system. Of course, if you consider dwarf planets like Pluto to be actual planets, then our solar system has the most planets. Source of the post Of course, if you consider dwarf planets like Pluto to be actual planets, then our solar system has the most planets. Yeah, since we cannot yet detect exoplanets smaller than the Moon, it makes little sense to compare the number of known planets + dwarf planets in the solar system to any other system. If we could, our system's status of "having the most" would probably be lost very quickly. We also can't detect planets which are very far from the star, like Uranus and Neptune. So systems like Kepler-90 may actually have more planets. Compact systems with many planets packed inside Mercury orbit probably have no external planets (or have just few of them). We can roughly estimate "is the system map complete" by summing up the masses of all known planets and dividing them on mass of the host star. If it is greater than 0.002, this may indicate that star has no unknown gas giants at the least (but still may have smaller planets of course). This is the upper limit on the mass of the protoplanetary disk. 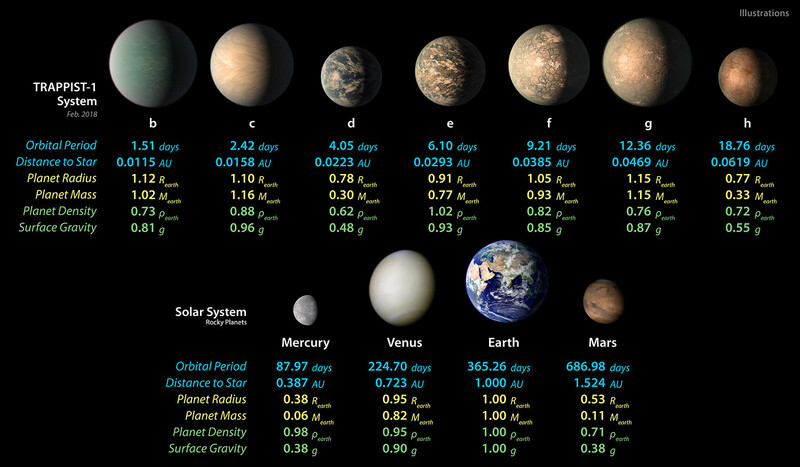 Each new version of SE have up-to-date exoplanets catalog. Time to fix that distance bug for hyper-faraway custom systems? Last edited by PlutonianEmpire on 05 Feb 2018 10:50, edited 1 time in total. Source of the post It seems we have found extra-galactic worlds now. Eek, thanks for the reminder! 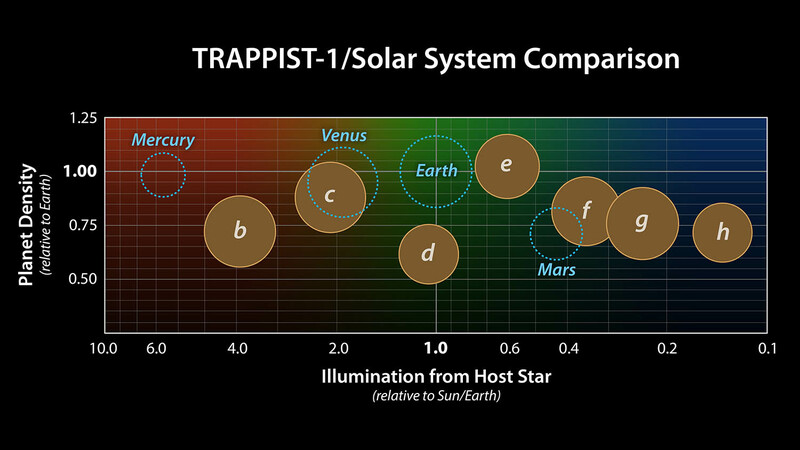 All planets are most likely SE terra class, with a densities range from 3.4 (like Moon) to 5.6 (like Earth). Smallest planets certainly have large amounts of volatiles, probably water or ice. Edit: the plot from the article is more informative. It shows that only planet e resembles Earth and Venus by composition, others seems to have significant amounts of water, or abnormally small metallic core. Multiply that by a couple thousand. So I take it this means the planets in SE will need to be updated. Real life Exoplanet. Is it safe?